Generally speaking, sustainable fashion is more expensive. When thinking of the participatory culture of socio-economic disadvantaged communities, with a hyper focus on Black communities, why are we often left out of conversations of sustainable fashion accessibility? But more importantly, what are the steps that these communities can take to be actively involved. 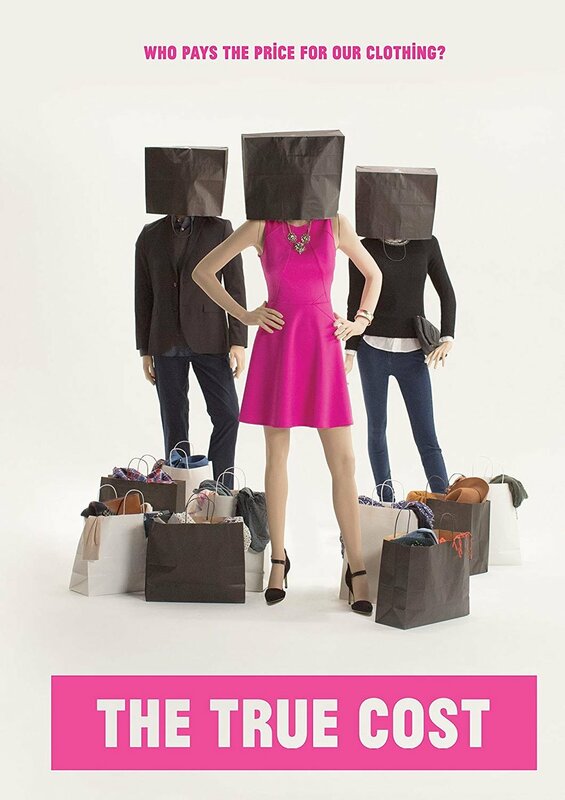 To begin to explore this complex conversation, let’s first let’s talk about why fashion today is so cheap. How we even got to this place where we allowed the exploitive systems of Fast Fashion and fashion slavery to manifest is an entirely different article, so let’s just cover the basics for now. It's important to understand that when you’re purchasing a $2 camisole, a $5 dress or a $20 pair of jeans, those particular brands are working with extremely small margins. When you think about the cost of production, a brand has to consider the cost of fabric, manufacturing, shipping, labor and of course their own profit (and there are a host of other indirect costs to consider). In order to produce clothing sustainably and more ethically, it requires more time, money and love. The traditional toxic shortcuts to growing crops is the first steps in keeping the farmer’s costs down. Harvesting organic crops is more labor intensive because it's done without the use of chemical aids such as pesticides and and synthetic fertilizers. This requires more money. Eco fabrics are generally more expensive because they are available only in limited quantities. Additionally, fair trade, is where workers are working in safe and comfortable working conditions whether in the U.S. or abroad, therefore the company actually has to pay their team members (yes, team members) fair and livable wages. This also requires more money. The price of the finished garment takes into account the triple bottom line; people, planet and profit, and it sure as hell isn’t a $5 piece anything. Often times, when we ask questions about how to get lower income communities involved the answer is always 1) just thrift (which we will share does play an important role, but the delievery of such suggestions, often comes from a place of disconnect privilege) or 2) just keep buying expensive sustainable fashion pieces and the more we shop, the more prices will drop. This is of course has a certain level of truth when looking at supply and demand models, but is totally dismissive of the very real socio-economic disparities. Without getting into the deep entangled intricacies of toxic education systems in America, it’s important to understand that the Black people’s identity is rooted in the appreciation for the Earth. However, through years of strategic and systematic criminalization, stereotypes, socialized media, propaganda, manipulation and abuse - the general Black (and Brown) population has a skewed relationships with the environment. Representation always involves power relations and the dominant environmental narrative in the U.S. is constructed and informed by White, Western European or European American voices. So before even pushing the agenda of conscious consumption to the mass of Black and Brown communities, it requires un-learning the mirage of popular media, the falseness of formal education and the overall historical abuse of our narrative. We have to make the invisible … visible, which requires a lot of challenging norms, reading, speaking to elders and putting in the grunt work to get back to the core of ancestral roots - learning about the contexts of culture that crafted ethically and repurposed and reused. Colonization when it comes to fashion and environment is an intersection that is rarely scrutinized and analyzed and most certainly not part of any traditional discourse. That needs to change and will most likely happen most authentically, in non-traditional spaces of education. Nobody is going to buy into spending more money on fashion and caring about a fiber’s story without first understanding how they are holistically connected culturally, politically and historically. Often times, shopping second-hand is a solution spouted out with no context by wealthy white folks, when it’s time to talk about engaging lower income communities in the sustainable fashion movement. It often comes across as a pity point that’s falsely advertised as caring. Well, it’s first important to understand that Black women for example, has ALWAYS set the tone of fashion and style in America and it have always been hyper political in their threads. The 1974 College issue of Essence Magazine called “Fall in Fly”, which focused on mixing the old with the new. It talked about the beauty of thrift stores and how dope Black women were to be able to create their own identity through style (before thrifting was cool). Thrifting is a radical form of sustainability by not purchasing new clothing that is already in the universe, but also for Black women, it is especially rooted in a cost effective way to create cultural autonomy. 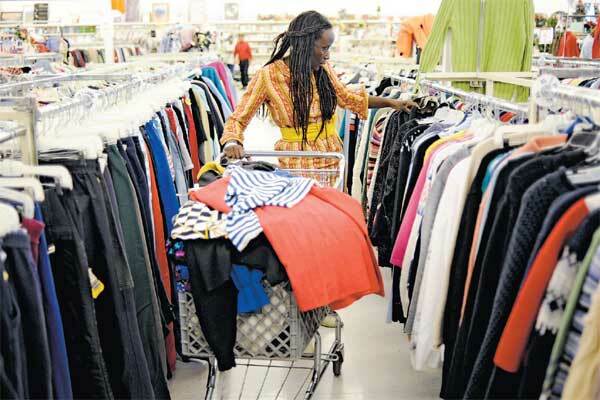 There are plenty of large thrift/ consignment stores with the works, such as Buffalo Exchange, Beacon’s Closet and Crossroads Trading Co. Additionally, there are always smaller boutiques and family-owned thrift stores in smaller cities. Thrifting also includes shop & swaps, garage/street sales and simply borrowing pieces from a friend. Additionally there are amazing online reselling sites such as Neo Thread, which give old pieces new life. And of course there are now a plethora of renal sites where you can rent pieces for special events instead of purchasing. Thrifting is very cool, even when it sometimes get presented in a negative light. There are sustainable fashion brands and particular pieces that deserve to be expensive and there there are ones that don’t! They are very transparent in believing that sustainable clothing should be an accessible norm, and not a luxury. Therefore, Truth Alone Clothing does not take a sustainability mark-up, the premium paid for organic farming, supply & demand, along with good living wages which makes their prices range from $21.99 - $35.99 for basic (and incredibly comfortable) super affordable. Another option that has great basic tees is Known Supply which is a global social enterprise working with 100% Premium Pima Cotton. This specific brand introduces consumers to the woman who make your apparel in an effort to bring people back to the forefront. Each KNOWN SUPPLY product is accompanied by the signature of the person who made it. Additionally, they have the option to jazz up your basic tee by offering name customization! There prices range from $26-$36 for basic pieces (without customization). 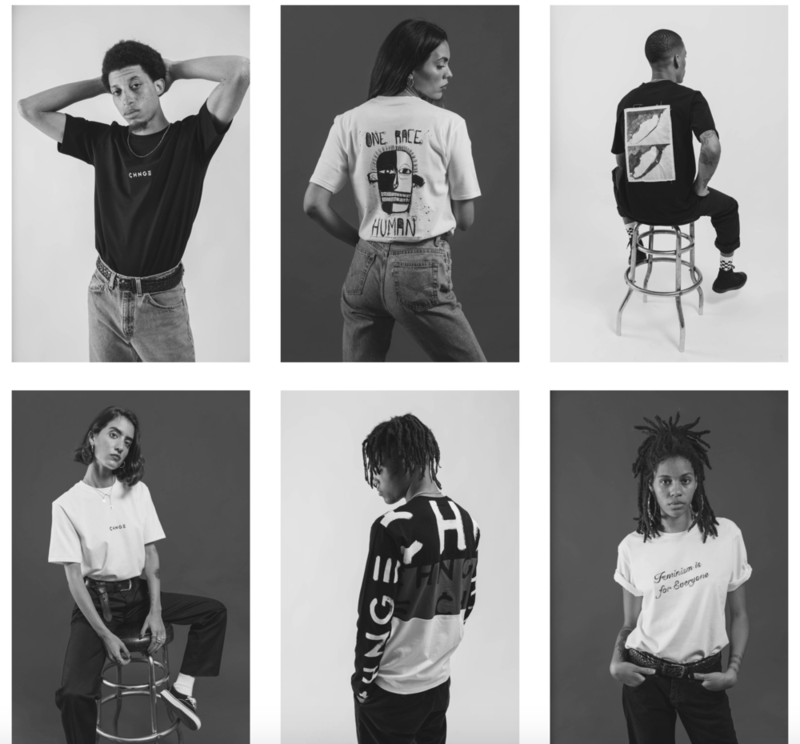 Another great brand is, ¢HNGE, which is a gender neutral tee shirt brand focused on sustainability, transparency, philanthropy and fighting against discrimination. They have pledged to use sustainable or recycled materials for every piece of clothing produced, and will also offset all the CO2 used throughout the entire supply and lifecycle of the garment, making the brand one of the world’s first carbon-neutral companies. On top of its sustainability efforts, ¢HNGE will also donate 50-percent of its profits to carefully vetted NGOs, including social and environmental non-profits like Charity Water, Acumen, Pencils of Promise and The Malala Fund. Their basic graphic tees start at $29! However, not all basic tees are made out of organic cotton! An amazing hemp brand, Superego, LLC is a lifestyle brand that promotes sustainability through quality hemp clothing. This brand is particularly important in this portion of the sustainable fashion conversation because it’s imperative to give space to Black owned brands who are using their platform to talk about and sell sustainable fashion. As shared on their website: “Hemp requires half of the water, grows faster, and produces double the fibers a cotton crop the same size would. Less water usage, and less land cleared for production allows for a healthier environment. Cotton requires pesticides to be grown effectively and accounts for roughly 24% of the total chemicals for agriculture sold worldwide. Hemp beats out weeds that would overtake cotton, requires no pesticides, and in various studies has shown to clean heavy metals and other pollutants from soil. Overall, hemp is a cleaner alternative for the environment.” So this of course is another great option to get introduced to the sustainable fashion world. There tees range form $28 - $38. Learning about, understanding and ultimately participating in the sustainable fashion “movement” is a process. There are now hundreds of brands and quite a bit of them sell pieces from $300 all the way up to $1000 (and sometimes more). For lower income communities, working class families and struggling college studies who may want to be more conscious - this is simply not feasible nor practical. However, this is where we can start to think of ourselves as INVESTORS. Taking the necessary steps to invest in things that are quality, bring you happiness and add value to your life takes a rebirth in how you consume and thus what you invest your time, energy and money. Although sustainable fashion has become branded as this elitist movement, after you begin to educate yourself and take the baby steps of thrifting, and buying basic pieces, you can invest in brands that are still within your financial means. When you begin to make small lifestyle changes like - shopping less in general and purchasing meaningless pieces - you begin to realize that you can start to invest in more meaningful pieces that still aren’t outrageously priced. There are several brands out there where you can buy ethical pieces for less that $150. The important thing at this stage is to make sure that when you’re shopping for a brand - your values align with theirs - period! Some brands to start looking at include Chelsea Bravo, People Tree, Chan & Krys, and Amour Vert, … literally just to name a few. Like anything else worth investing in, it will take research on the part of the “consumer”. Being ethical on a budget is possible but it does take some lifestyle changes. The beauty is, is that you can always invest at your own pace because navigating this space with socio-economic barricades requires it. Overall, it’s imperative to understand that sustainability is a spectrum and people globally are engaging in it and through it at different levels and interactions. Having a conversation that’s more inclusive of communities of color and specific financially challenges communities is a rare conversation in this space but it’s extremely important for forward mobility. Black and Brown people have played with notions of “sustainability” of course before the term was coined but also by default of having to be creative, innovative and economical. Pulling from history and culture contexts to create your own understanding of sustainability and style is exactly what is needed int his space. Although this article was specifically focused more on consumption, sustainability is about so much more than consuming and we will continue to explore and articulate those as we dissect the intersections of affordability, accessibility and anti-appropriation within various spaces and spectrums.